Husband, Father, Grandfather, Brother, Church Pastor, Community Chaplain, Certified Therapeutic Music Entertainer/Musician, RV'er, Amateur Digital Photographer, Adult Scouting Volunteer, Folk Philosopher, Cultural Observer and Collie Lover . . . I enjoyed singing today for the folks at the Crowley Senior Center at their new digs inside the Crowley Recreation Center. There were about 15 in attendance. It was good to reconnect with Ruby Harse (CSC Director) and the rest of the folks. This location for their activities is really so much better than their old location, in my humble opinion. I will sing for them again on the last Thursday of this month! As you get older (in just a few months I'll be 62) you find yourself paying closer attention to the few things in your life that really matter to you. I think this happens more earnestly when you come to the realization that you have less time left to live than you have lived so far. Family, friends, faith . . . these are the big 3 in my life, and have been for some time. Otherwise, when approached by those who want my help, or my business, my answer is simple, and hopefully loving . . . I'm not interested. If something can't appropriately filter through family, friends and faith, then I know in my heart that it not a wise use of my time. If something does not resonate with me, or in some way connect with my passions, then there is no connection, nor inclination to become involved. I am a curious man, but my curiosity is limited to those things that bring me joy, and joy to others. My wife and I share a passion for RVing. We make time for it as often as we can. It's an activity that we enjoy doing together. It's out way to relax and enjoy exploring the world around us. I doubt that we will ever be full-timers, but I do see us embracing seasonal RVing after our retirement in the coming future. In the past few years, we have especially enjoyed camping in New Mexico, Colorado, Mississippi and Tennessee. We've stayed in some great RV parks, and met some really great people. Overall, it's been a positive activity for us. In our travels these past months, we began to get the feeling that our Forest River MicroLite 25FKS was just too small for us and our two collies. 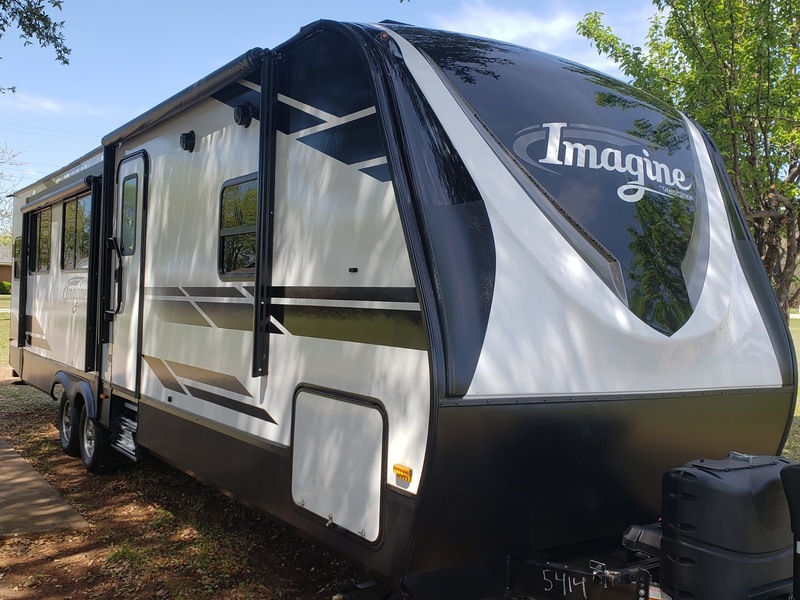 It was a great unit, and we made a good decision getting it for short get-a-ways and vacations. However, we have a possible opportunity after retirement to live in our camper seasonally in New Mexico from May through September. We needed something with more kitchen space, more seating, and much more wardrobe space. After looking at different dealerships and visiting RV shows in the DFW area for the past 3-4 months, we found a great fit for us . . . a Grand Designs Imagine 2970RLS. We picked it up this past week, and were able to spend 3 nights in it before arriving back home. I will be sharing more about this camper in future blogs. What I wanted to write about today . . . was the brand name of the camper we purchased . . . Imagine. The words of John Lennon's song of the same name ring true with many people. Not so much with other people. But the word itself strikes a chord with me. Here's why. I don't see much evidence of imagination in the lives of many of the people around me, most especially in children. It's as if they either don't know how to engage in imagination, or have never been taught to seek the possibilities and discoveries in life that are all around them. Perhaps it's because they seem so busy, and that they don't have the time. Has imagination become something we don't have time for anymore? Or is imagination now seen by many as a waste of the time they have? I believe, in an effort to daily strive for personal health and wholeness in life (physically, relationally, emotionally and spiritually) one is aided by one's sense of imagination. By imagination, I mean being able to see possible "future's". I think the goals we set in life for ourselves are often rooted, or should be, in the possibilities we can imagine about our lives, including our dreams and our passions. Life is supposed to be about discovery! In almost 62 years, I have discovered so much about myself, my family, my friends and the world around me during my life. I have learned some great lessons, and some painful ones as well. It seems that so many people are hard-wired to a cultural reality these days . . . they seem to put so much effort and resources in striving toward a cultural definition of success and happiness. But there is a problem. A cultural definition of success and happiness does not work for most people. This kind of definition is rooted in debt, acquiring possessions, and not giving a damn about anyone else. Unless you look a certain way, dress a certain way, have a certain kind of job, house, car, spouse, etc. . . . you aren't happy. Another problem with this way of thinking . . . you can never have enough, because the happiness or joy you feel after acquring something new, or checking off a to-do list, is short lived at best. Something new, shining in the distance, will always attract your eye. I know this from personal experience. It is a costly way to live, in more ways than one. My happiness, to my understanding, is totally and completely my responsibility. I learned a long time ago, people can't make me happy. Only I can make myself happy, and it won't ever happen by letting cultural definitions define or steer my life. If I let this happen, then I am giving culture an unfair aspect of control over my life. In other words, pleasing the majority dictates what I do. It seems to me that a consequence of this belief is the crushing of one's imagination to imagine a perferred future. Perhaps . . . living without imagination . . . is the death of one's soul. Is that the desire of our culture, to form and shape us into a submissive understanding of what's important . . . and the expense of our very soul? I believe the unfortunate answer to that question is "yes." However, there is an alternative way to live! We can live life with a goal of imagining possibilities . . . of what may be "out there" that we have yet to explore, but can if we will just get up and do so. We must never lose sight of the fact that our imaginations are the birthplace of our dreams!!! Imagine the possibilities. That's the easy part. Getting there is the hard part. Doing so is always a risk of some sorts. But then, we can't begin to explore what lies ahead of us in life if we don't put in some hard work and self-sacrifice. A little sweat makes the experience that much richer. Imagination . . . never give up the ability, and your right, to imagine! Maybe busy is bad . . .
Life has become quite busy since deciding and announcing that I had made the decision to purchase/trade for a Rainsong guitar. In other words, I haven't been able to take the time to go to Guitar Center to work the trade and place an order. Life gets that way . . . busy. I see it in the lives of so many people, especially younger families. Two parents often working two demanding jobs. Children with busy schedules of their own, which have to be factored into the life of the parents. Is it me, or do kids just seem tired all the time? Is their fascination with cell phones, apps and the internet their way of escaping from reality long enough to take a short break? If naps aren't an option, then maybe zoning out their brains is? I've been legitimately busy. We've entered the season of Lent. Getting ready for Easter at a church takes a lot more time than you think. Add that to the weekly responsibility of maintaining the older part of our building. Our kids moved to a new home, and "grandpa" duty kept me busy. Now that kind of busy I like!!!! Today, I was hoping to head to the music stores, but we have personal errands to take care of. And as always on a Saturday night, I will be finishing up my sermon for Sunday. The question has to be asked . . . what have I accomplished this past week except to maintain the status quo? The honest answer is "nothing much." I did manage to get most of the things done on my weekly to-do list despite unplanned interruptions. There is some satisfaction in that I guess. However, what I really wanted to do, that had the opportunity to be enriching to my life . . . I wasn't able to begin any of it, let alone check it off the list. In a few weeks my wife and I will take a few days off, something we try to do every year before Easter. I'm confident I can do some reading and writing during that time away. Perhaps I can reprioritize my to-do list for the next few months. Perhaps I can strike through a few to-do list items because they really don't add value to my life. Perhaps . . . I can come to understand that "busy" can be bad . . . if what's keeping yme busy is not enriching me in some good way. Time for a Rainsong . . . I've made the decision to get a Rainsong graphite guitar. For many, no. For me, yes. It is a big deal. I have come to the conclusion that I need a "beater." You know, the guitar you can throw into a trunk. You can beat-the-hell out of it and it stills plays loud and keeps in tune. I've discovered that such a guitar, for me, is not one made of wood. I have some great guitars. I have three Martin's, two Guild's and two Taylors "both of which are build-to-order guitars). I primarily play the Martin D-18 retro. It's the lightest guitar I own and it's A pleasure to play for an hour, even after the repairs to the body that I recently had done after dropping it onto a tile floor at the church. The weight of the guitar helps the strap not dig into my neck as much as it does with either of my Guild jumbo's. Ah, the Guild jumbo's, almost the perfect beaters. I love my Guild F50R six string. It's my New Mexico / Philmont Scout Ranch guitar. Doesn't quite project in terms of volume as I would like it to, but a great guitar. And, a heavy guitar. But it's not the beater I don't have to worry about. Low or high humidity will affect the guitar is seconds. My two Taylor's are simply the two nicest guitars I own. Both are sinker redwood and mahogany. I haven't played the GS in months, and can't remember the last time I played the T-5. I ordered the T-5 back when I had cancer, and it was an emotional purchase because I thought I might be dying. I know . . . sad. Having a guitar and never playing it is almost as sad to a guitarist. It's no where on my radar. I am an acoustic player, even when plugged in. I have paired down to minimal sound equipment and I only play at venues where I am comfortable. So . . . 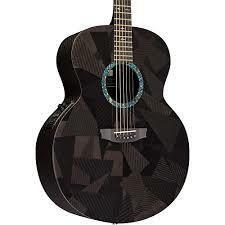 I would like a guitar that will humidity and temperatures will have minimal affect on. I want a guitar that projects well, and I want it to be light. That narrows down the choice to a Rainsong dreadnaught or jumbo. Probably the jumbo. I'm still 6'6", but down in weight to 248. A jumbo still looks about right. A Word of Thanks to Lamb's Music . . . I reported several weeks ago that I had taken two of my acoustic guitars in for repairs. I recently dropped my Martin D-18 retro onto a tile floor (the strap came off the button), and it bounced twice before I could grab at it with my hands and one of my legs. The top cracked in two places. It's an ugly sound when a guitar cracks. You always remember it. Sorta stays in the pit of your stomach. My Taylor GS custom build was damaged when I turned with it and cracked the lower side of it against a chair in my office. The sound of that crack was also ugly . . . very ugly. I initially thought it was a finish crack, but upon deeper examination, I confirmed the crack had gone through the wood. I could have killed myself right then. What a dunce! 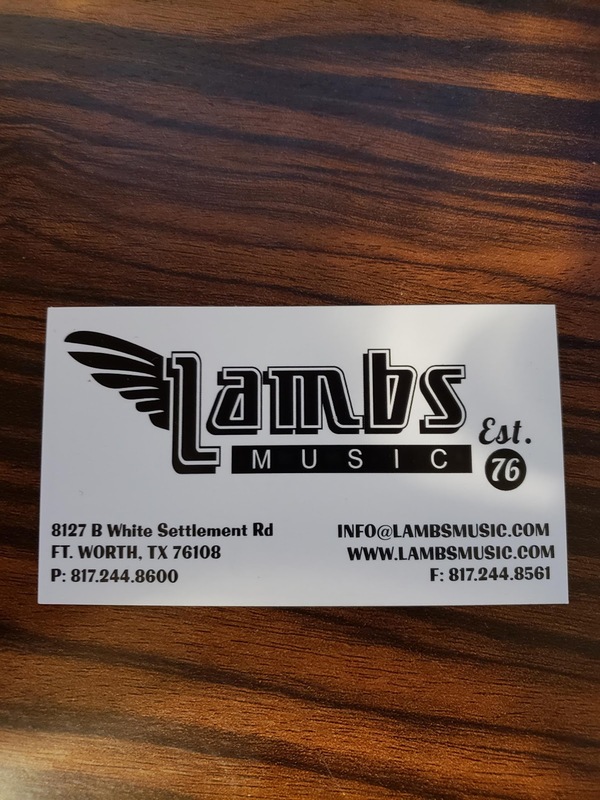 I called J. R. Robeson, our local Taylor rep, and he recommended that I take both guitars to Lamb's Music in the White Settlement neighborhood of Fort Worth. A good friend who used to be in retail music industry offered the same recommendation. Lamb's Music is a family run business, and Steve Lamb has an excellent reputation. To be honest, when I picked up my guitars from him this past Saturday, I was amazed. I knew from past experience working in a guitar store that the crack in the top of my Martin would still be noticeable. However, I had to check the edges and binding several times in order to finally see where there had been damage. I was thinking I would have to have the top replaced, but Steve was able to match the finish. The guitar sounds great, plays great (Thank you Steve for the set up!) and I am very satisfied. I was a little worried about the repair to the Taylor GS, in part because of Taylor's use of a UV finish. To tell you the truth, I cannot tell that the guitar was ever damaged. The repair is superb! The finish match is outstanding. And, Steve also set up this guitar, and I've changed my mind about trading it in. I didn't like the action, but now I love it. Steve put on a different set of strings, and the sound of the guitar caught my ear. I need to play this guitar more. It is the most beautiful guitar I own with a orange sinker redwood top. I guess it just takes a pro to guide you toward what you didn't know you wanted. Thanks Steve. I think the turn around time was about 45 days. They are very busy at Lamb's Music, as a lot of local musicians take instruments there for set ups, customizations and repairs. Contact info for Lamb's Music is below in the picture. I can honestly give them a 5-Star rating. I know I will be a satisfied repeat customer. A shout out to one of the good guys . 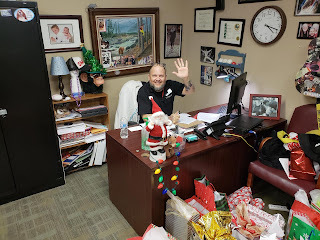 . .
Joe Hagin is the Life Enrichment Director at our area Crowley Nursing & Rehabilitation Center. 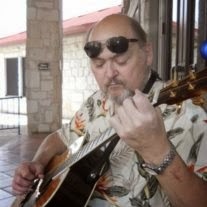 I have provided music for several dozen nursing homes, retirement communities and senior adult centers in different communities in Texas for over 30 years. I can hoestly say that I have never seen anyone approach their job with the care, compassion, energy and enthusiasm that Joe does. Joe is the guy who is always in a funny hat. He always has a song to sing. He always has a joke or a cheerful word ready. And, he really cares about the residents at CN&RC. To him, they are all family. He is one of the good guys and deserves our appreciation as well as a pat-on-the-back. Joe is your contact person if you are interested in volunteering at CN&RC. Our church is entering a new relationship of support for the staff and residents there in 2019. They are our neighbors, and we want to support their good work. A New Daily Devotional Resource for a New Christian Year . . . The Season of Advent (the 4 Sundays before Chistmas Day) marks the beginning of the new Christian year. This is the time of year I usually pick a new daily devotional resource to use. 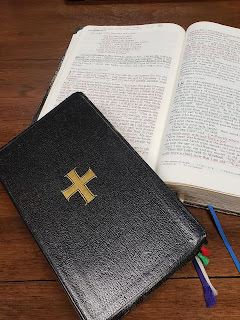 I've made the decision to once again use one of the books from the Guide to Prayer series written by the late Bishop Rueben P. Jones and Norman Shawchuck. Both of these spiritual leaders have passed from this world militant to the Church triumphant. Their resources have guided many pastors and laity in their daily devotional journeys since the original Guide to Prayer was first published in 1983. This new Christian year, I will be using the final volume of the series, A Guide to Prayer for All Who Walk with God. This volume is somewhat different than previous volumes, in that the prayers are centered more on scripture and ancient forms of prayer. These ancient spiritual prayers and practices speak to many of us, who although near retirement from "professional ministry," still seek to envision the return of the current church to the spirituality of the first three centuries of the Christianity that followed the resurrection of Christ. This is not a simple read a scripture, story and prayer devotional. Using A Guide to Prayer for All Who Walk with God involves times of silence, reflection and written journaling. I find that this type of daily devotional takes me 15-30 minutes to complete in a way which blesses me. But most importantly, this type of disciplined spiritual practive has blessed many in helping them draw closer to God, and inviting Christ into the center of their lives. This resource is available from Cokesbury Bookstore (www.cokesbury.com). Tuning a baritone uke to G-C-E-A ?? Matt Kleibrink - "Bringin' on the Heartbreak"
THANKS FOR DROPPING IN . . . Welcome to the blog of Rev. Rick Mang, a United Methodist clergyman who lives in Texas where he serves as pastor of a church in the Dallas/Fort Worth area. 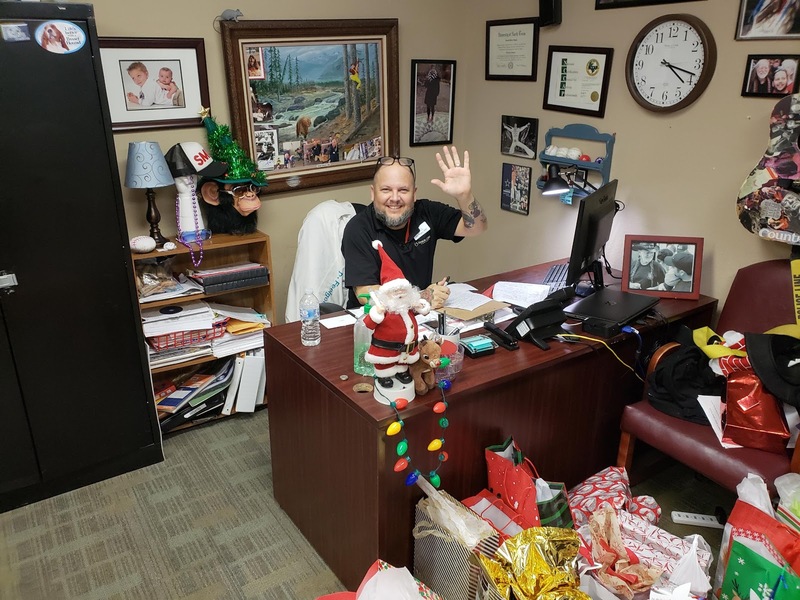 Rick is also a Certified Therapeutic Music Entertainer who sings for senior adults in area nursing, rehab and retirement homes, and in senior activity centers. Rick sings for different church and community events as his schedule allows. Email Rick at revrickmang@gmail.com to begin a cultural, ministry, music, philosophical, Scouting or RVing conversation. I have been blessed to have had several mentors along my life's journey. Joe Laughlin was one of them. Joe was my "adopted" big brother, best friend, guitar and vocal mentor, and fellow Christian folk philosopher. It's been over 4 years since his death. I still miss him very much. 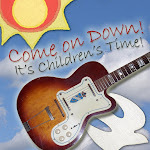 I still have a few copies of my Children's Worship CD. Contact me by email at revrickmang@gmail.com to get a copy! Postage paid in the US. They are free for the asking! Would you like to share your story about your favorite musical instrument? I am soliciting stories about people and their favorite instruments to make music with. If you would like to share your story, then please contact me at revrickmang@gmail.com. I will get back with you to soon. The thoughts, opinions, ideas, stories, meditations, prayers, and other information written anywhere on this blog are usually my own ramblings and responses to things I have seen, heard, read or witnessed. I write out of the ever changing and conflicted struggle that exists between my head and my heart as I try to live out my life mission in the best and most productive way I can. What I write or share in no way reflects the views of any church, denomination, political party, friend, relative, writer, musical group, musician friend, artist, fishing buddy, fellow hiker, walker, other blogger, city, state, county, nation, or for that matter anybody else you possibly could ever hope to think of. Sometimes, the words and thoughts of others are so well written, and touch me so deeply, that I am moved to share them. When and if I share the words and thoughts of others, I honestly try to give and acknowledge appropriate credit, and will do so if you bring it to my attention that I haven't.